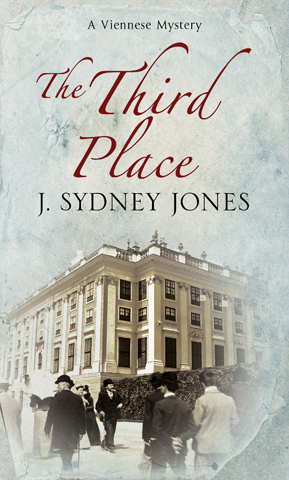 The Third Place is the sixth installment in my Viennese Mystery series, set at the turn of the twentieth century and featuring private inquiries agent Advokat Karl Werthen and his partner in crime detection, the real-life father of criminology, the Austrian Hanns Gross. In this series addition, Werthen and Gross investigate the murder of Herr Karl, a renowned headwaiter at one of Vienna’s premier cafés. As the investigation turns up new clues, Werthen and Gross are suddenly interrupted in their work by a person they cannot refuse. They are commissioned to locate a missing letter from the emperor to his mistress, the famous actress Katharina Schratt. Franz Josef is desperate for the letter not to fall into the wrong hands, for it contains a damning secret. As the intrepid investigators press on with this new investigation, they soon discover that there has also been an attempt to assassinate the emperor. Eventually, Werthen and Gross realize that the case of the murdered headwaiter and the continuing plot to kill the emperor are connected, and they now face their most challenging and dangerous investigation yet. The fifth installment of the Viennese Mysteries is now available. 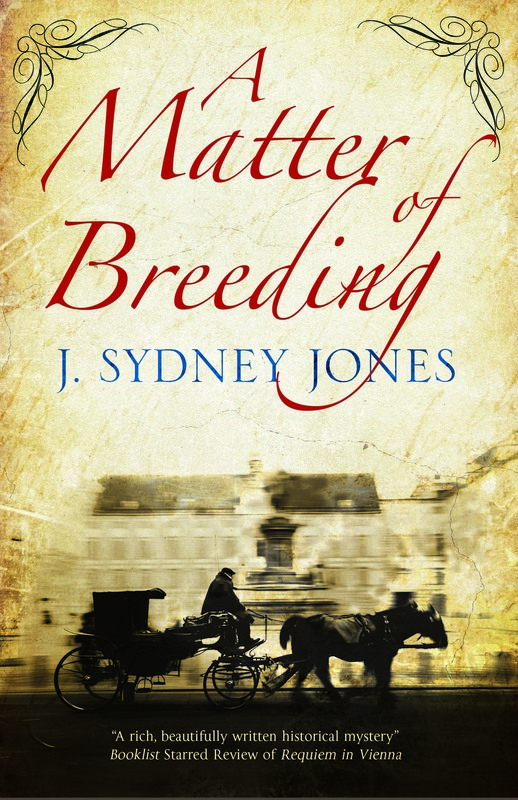 The fifth installment of the acclaimed Viennese Mystery series, A Matter of Breeding, finds lawyer and private inquiries agent Karl Werthen and his colleague, the criminologist Dr. Hanns Gross, investigating a series of grizzly murder/mutilations of young women in the Austrian province of Styria. The newspapers are touting Jewish blood ritual murders and vampirism, and Werthen and Gross–assisted by the Irish writer Bram Stoker who is in Austria to give a speech–battle against time to discover the real motive for such brutal and seemingly random killings. Meanwhile, Werthen’s wife, Berthe, has her own case to deal with. Commissioned by Archduke Franz Ferdinand, she is investigating a potential breeding scandal at the famous Lipizzaner stud. If the stud line has indeed been corrupted, this can prove to be more than a mere embarrassment for the Habsburgs, for the Lipizzaner blood line has been introduced to most of the royal stables of Europe. As these dual investigations proceed, it eventually becomes apparent that there is a connection between the two. 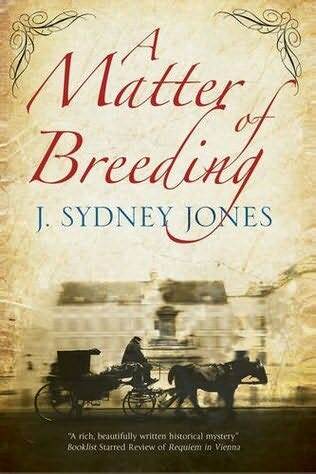 In the end, it all comes down to a matter of breeding. 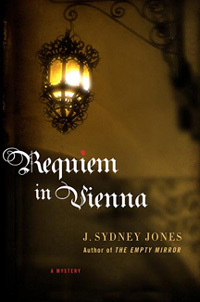 The fourth volume in the Viennese Mystery series is now available. Vienna, 1901. 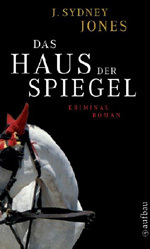 With the police seemingly indifferent to the murder of a 19-year-old prostitute known as Mitzi, brothel-keeper Frau Mutzenbacher turns to lawyer Karl Werthen to find out what happened and bring her killer to justice. Yet the more he discovers about the mysterious Mitzi, with her secret past and impressive roster of clients, the more questions Werthen’s investigation throws up. At the same time, Werthen undertakes a second commission: to find out who viciously assaulted playwright Arthur Schnitzler. Schnitzler believes his latest controversial play might have been the motive for the attack – but is there more to it than that? As he navigates the highs and lows of Viennese society in dogged pursuit of the truth, Werthen finds himself drawn into a conspiracy of espionage and affairs of state. Vienna, 1900. Lawyer and private inquiries agent Karl Werthen is puzzling over the high-profile suicide of a city councilman–former client, next in line to Vienna’s powerful Mayor Karl Lueger, and the last man Werthen would think capable of suicide. Werthen, however, has little time to ponder, as he is summoned by wealthy industrialist Karl Wittgenstein (father of the future philosopher Ludwig) to find his oldest son, Hans, who has gone missing. Werthen soon discovers the whereabouts of the musically-minded Hans, and the case appears to be solved. But appearances are deceiving, and a simple missing person’s case soon leads back to the councilman’s suicide. Werthen—once again ably assisted by his wife, Berthe, and real-life father of criminology, Dr. Hanns Gross—journeys into a sinister web of deceit and violence that threatens not only his life, but also the very heart of the city and the empire. 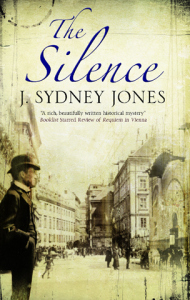 The composer Gustav Mahler is at the heart of this intriguing and compelling mystery/thriller set in Vienna 1900. 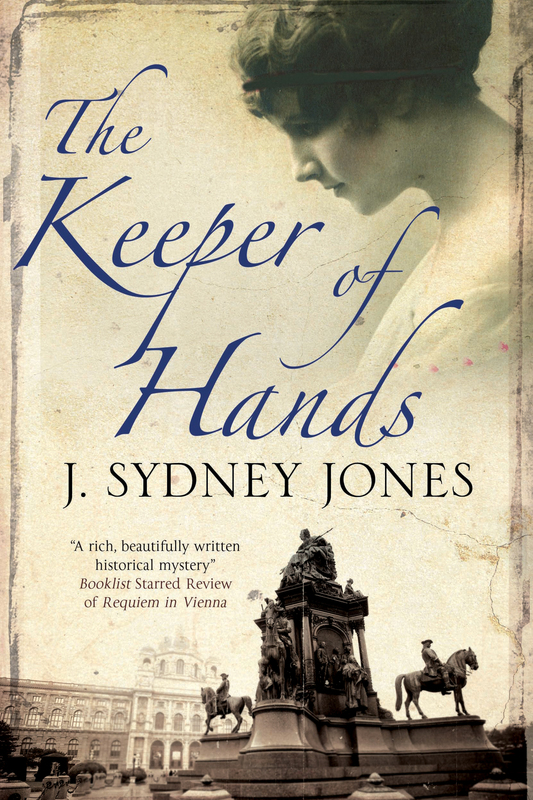 The highly praised first volume of the Viennese Mystery series is now available in paperback. Fin de siècle Vienna comes to vibrant life in this colorful historical thriller featuring the artist Gustav Klimt. Do you think you could interview the Cuban mystery writer Arnaldo Correa who wrote Cold Havana Ground? I’ll check it out, Ruth. Thanks for the tip. Be talking to you tomorrow as planned.